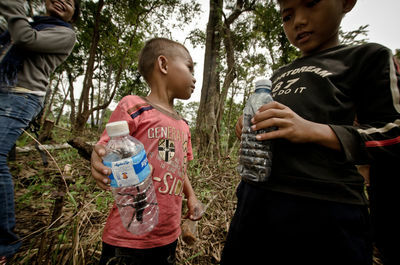 On The 9th August 2012 I was invited to the remote jungle village, known as Trov Pheang Ctas, located deep within the Svay Ler district in Cambodia. 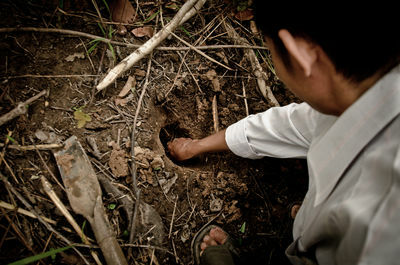 It was somewhere I had never been or heard of, and I assumed there might be both unexploded landmines, and illegal logging activities, as is the case in much of the rural countryside. 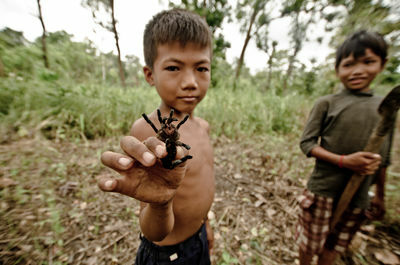 My time there would be spent documenting the hunt of one of Cambodiaâ€™s finest delicacies, Haplopelma albostriatum. Haplopelma albostriatum, are a species of tarantula called "a-ping" in Khmer, and also known as the Thai zebra tarantula, when fully grown can reach the size of a human palm. 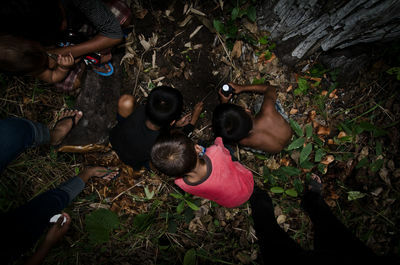 The spiders are caught using a very primitive simple yet effective technique, where the hunter will tease the creature from its den by the ways of using a stick to tickle its web and entice the spider to surface. 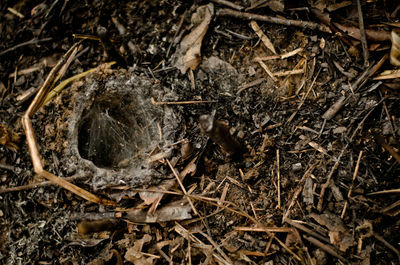 The spider then makes its retreat deep into its hole, but no escaping as thatâ€™s when the improvised shovels come into play. Although venomous the tarantulas are not deadly and there bite has been described as something close to a very bad bee sting. Once visable the arachnid is quickly plucked from its hole and grabbed by its back just in front of its abdomen using 2 fingers with care taken to avoid a nasty bite from there rather large fangs. When caught the spiders are delicately put into small plastic bottles and kept there until they and ready to eat. The process used to prepare the catch for eating comprised of filling a bowl with water and jointly drowning and washing the spider in one easy step. 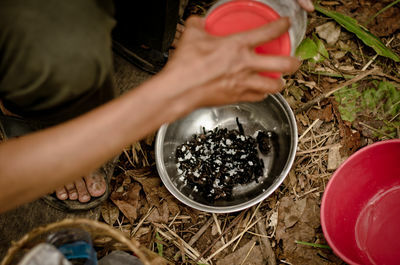 The method used at this particular village was very cheap and easy, the spiders are tossed in salt and deep fried. 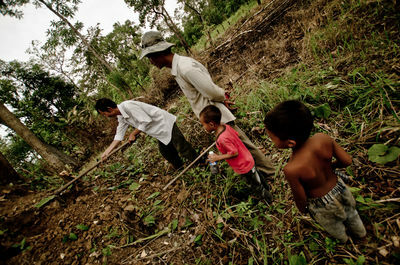 It is not clear how this practice started, but some have suggested that the population might have started eating spiders out of desperation during the years of Khmer Rouge rule, when food was in short supply. 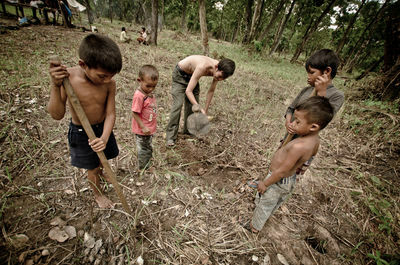 The children are calm while they dig for the eight-legged arachnids. 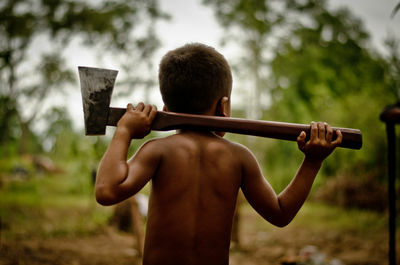 Wielding a axe a young hunter heads into the jungle in search of tarantula's. 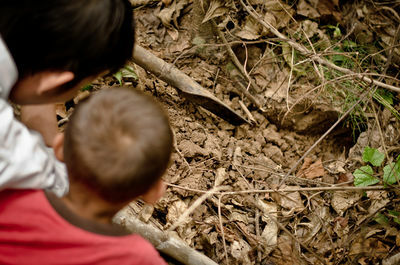 The hunters look into the spiders lair and prepare for the capture. 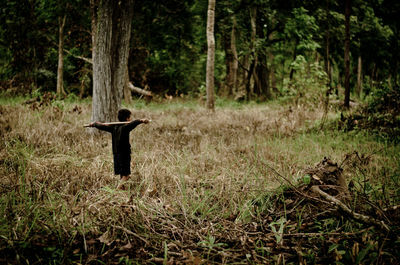 A boy searches the jungle for new hunting spots. 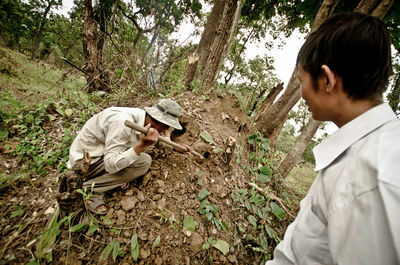 The spiders are caught using a very primitive simple yet effective technique. 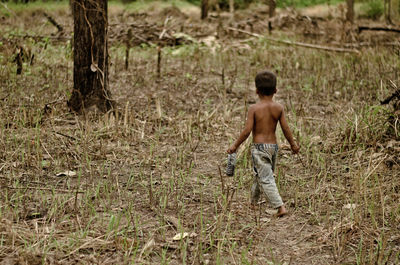 A young hunter heads back to the jungle hut to give his catch to his mother to prepare for eating. Mr Marom Hem happy with the hunt. 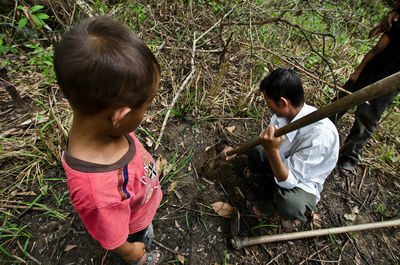 A boy observes and learns the techniques needed to catch the Khmer Delicacy. 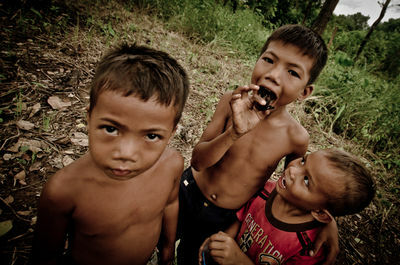 From a very young age children a taught the techniques needed to survive when food is in short supply. The boys parade their catch. When caught the spiders are delicately put into small plastic bottles and kept there until they and ready to eat. The delicacy is sometimes eaten raw. The tarantula tries to escape the boys grasp. 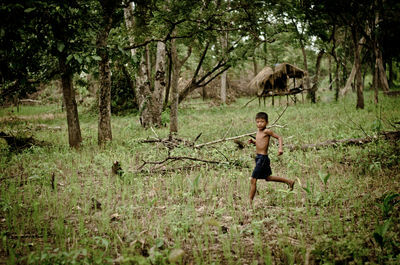 A young boy runs past his jungle hut. The female tarantulas are prefered as generaly they are carrying eggs which adds to the flavour. The tarantulas are first drowned and washed in water before being tossed in salt and cooked in oil. The children prefer to eat the head first then strip the meat from the legs leaving the abdomen containing the precious eggs until last.